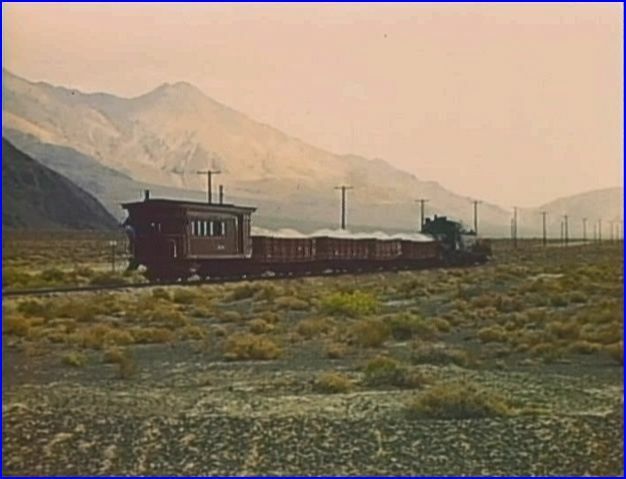 Southern Pacific once ran a profitable narrow gauge line in Owens Valley California until 1960. The sparse desert with towering mountain backdrops reminds one of the 1950’s motion picture- Bad Day at Black Rock. 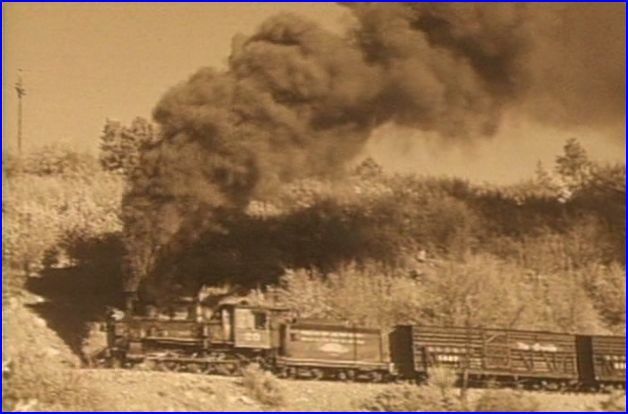 Yes, diminutive SP steam engines are seen hauling boxcars and gondolas across desolate terrain. This show has had a 2007 digital remaster. 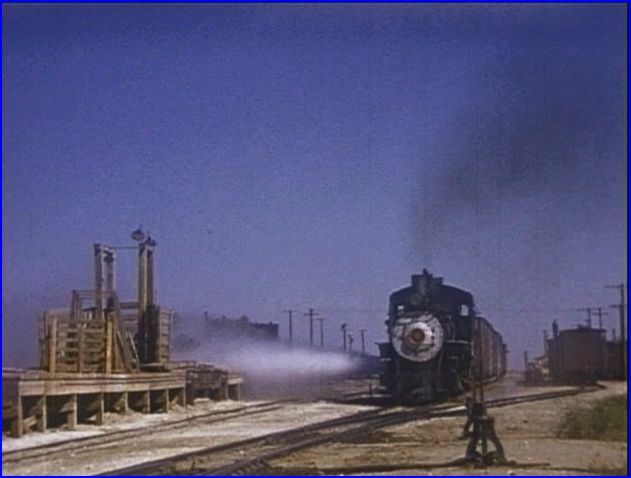 Otto Perry was a famous photographer and filmed steam era railroads. His library contains over 20,000 photographs. 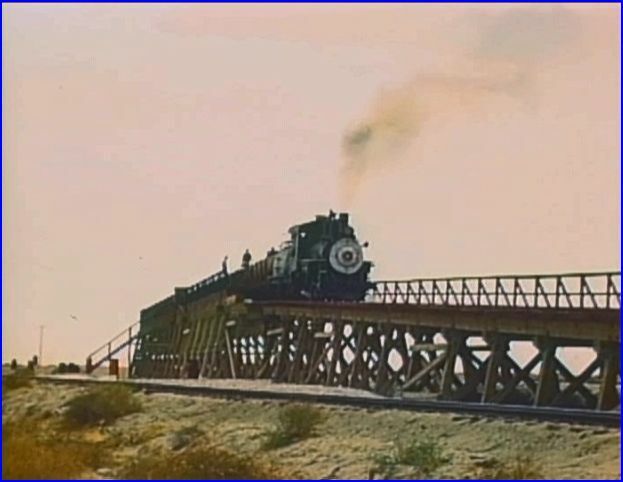 Above, a train loaded with Borax, that will be transferred to standard gauge Southern Pacific Lines. A set of simple maps are clearly marked and useful. Graphics denote locations. A chapter menu offers the three cinematographic sources. The show was also reedited in 2007. It plays as an informative, smooth running presentation. The late Alva Morrison narrates and he was the original producer. Plenty of operational information is shared. Train sounds, some scenes sans narration. Brief musical interludes between the chapters are the rest of the audio soundtrack. Wilbur Whittaker films are in Chapter One. Believe this Whittaker Collection is from the early 1950’s. There are railfans in the coaches. An early era outing behind the boxcars. Service facilities at Laws. This compact scene is a natural for modellers. A time honored Armstrong Turntable is manned on both ends! Mac Owen films are Chapter Two. Transloading facility to accommodate standard gauge interchange of bulk commodities. The remoteness of the area is felt in this scene by Mac Owen. Otto Perry is the source for Chapter Three. This satisfying chapter is half of the show length. Number 9 blasts out some steam. Almost seems ready to clean the dock! 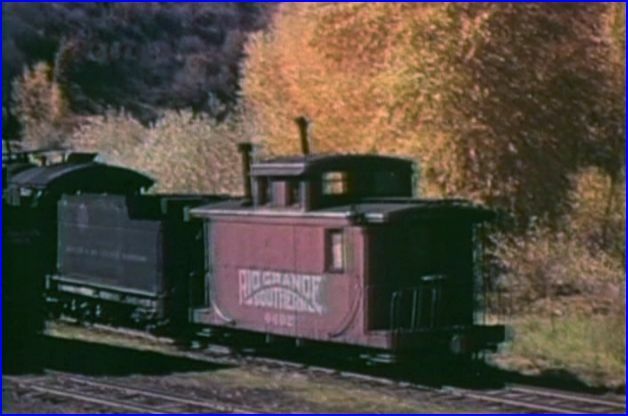 Borax loaded gondolas resemble a prehistoric unit train. 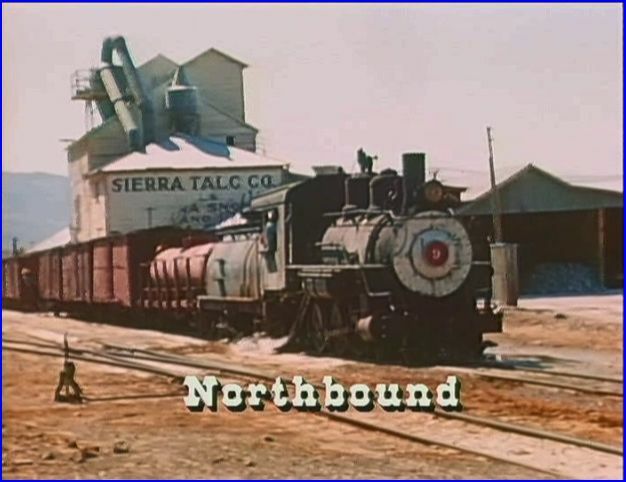 Southern Pacific used a combine to serve as a caboose. Sunday River has a fine little show in Narrow Gauge East of the Sierra. The half hour running time is all that viewers will see. Each of the three cinematographers provide their individual feel. Otto Perry footage is unique to this program. 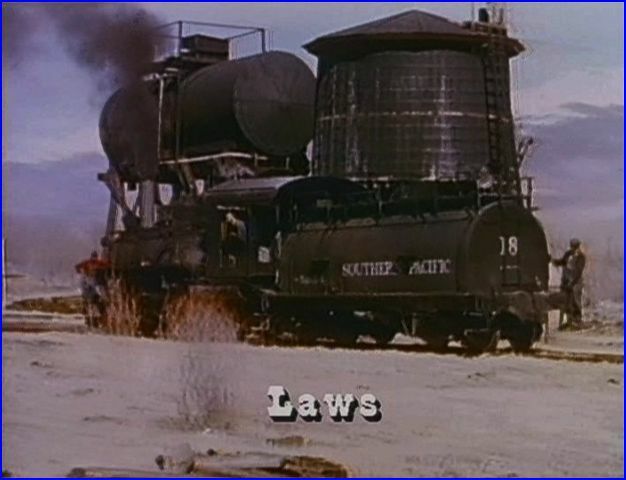 ATVR is working on featuring some of the original masters of train films. 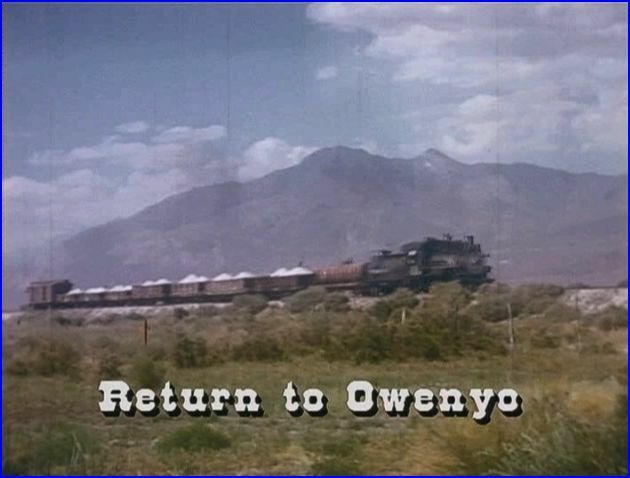 Otto Perry is one of the top cinematographers of the early era of color film. He shot in the 1940’s on black and white film. 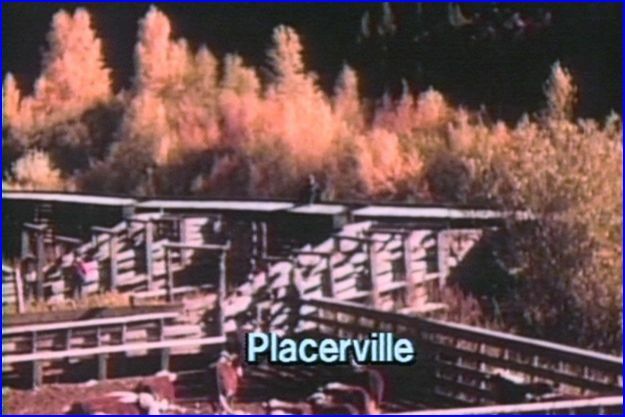 This is true vintage footage of a world, that no longer exists. 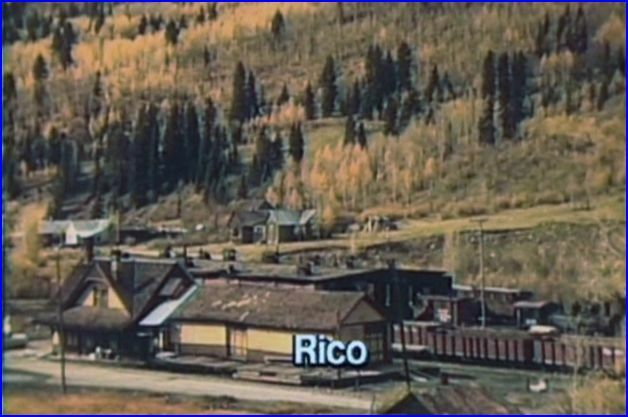 The Rocky Mountain Railroad Club has an archive that contains these films. Otto Perry lived in Denver, CO. He was always out, filming trains. Sometimes whatever else was happening at the scene. 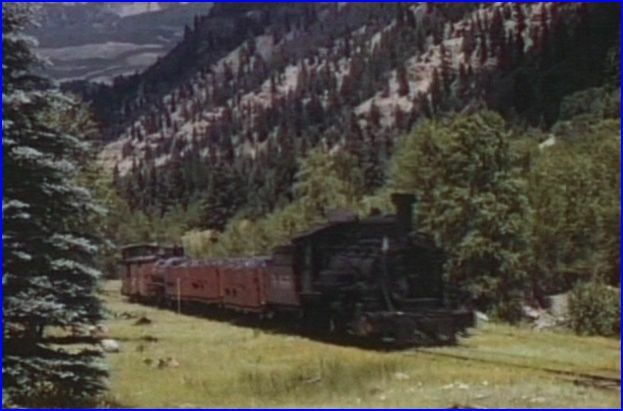 Relying on a 1935 Ford and later on, a 1951 Ford, he would travel thousands of miles in pursuit of trains. 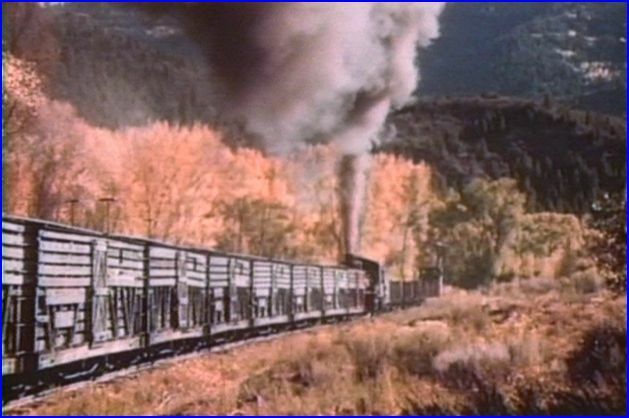 What makes his films so interesting, are his willingness to roll the camera at any train. 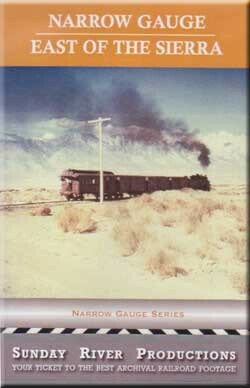 The steam to diesel transition years provided the perfect source of unending variety to record. 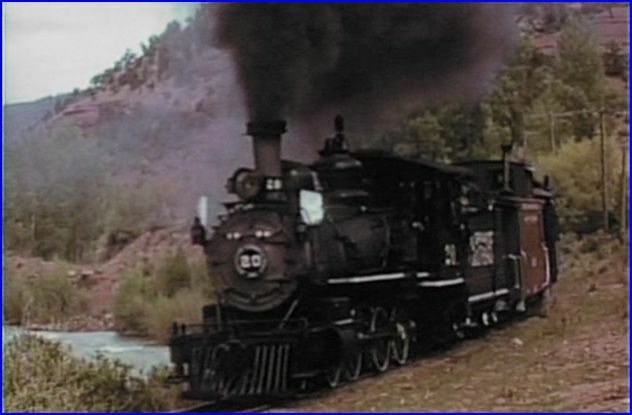 In this feature about Santa Fe, we sure get to see that variety of railroad equipment. 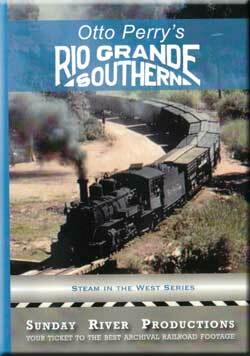 Steam, early diesels, streamliners, switchers, freight trains, old automobiles, it’s all here. The film has a chapter menu, which is always nice. There are some fine maps too. The way the story moves around, we will need these maps. Rich Melvin is our narrator. He does a fine job with; a good, information driven presentation. On screen graphics provide more locations. 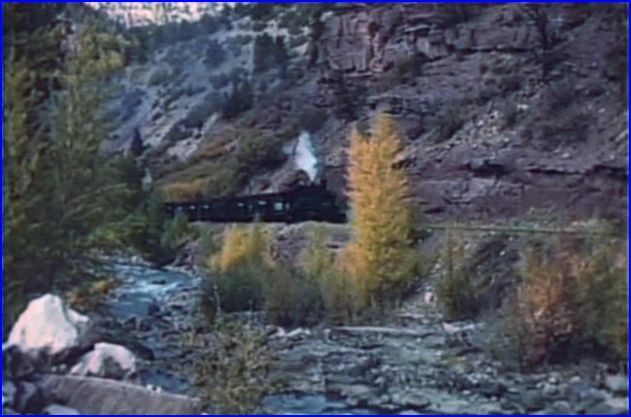 A good chapter revolves around the ATSF joint line from Denver and southbound trackage that arrives at Palmer Lake. Castle Rock is approximately halfway there and it is seen as some background scenery. 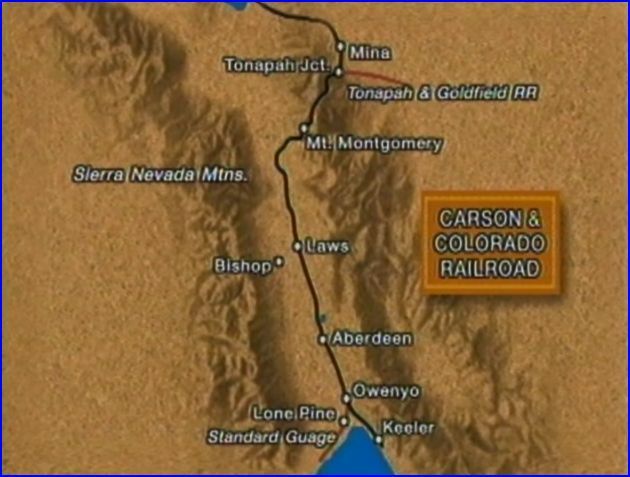 Colorado and Southern was a subsidiary of Chicago, Burlington & Quincy, aka, CB&Q or Burlington Route. 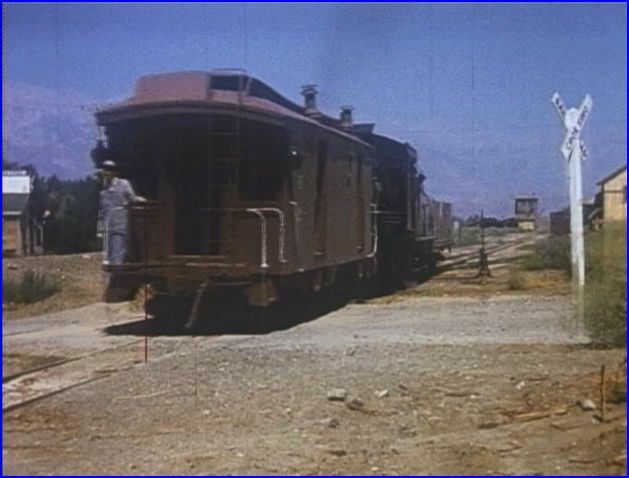 By filming the shared line, we get the bonus of viewing C&S and CB&Q trains. 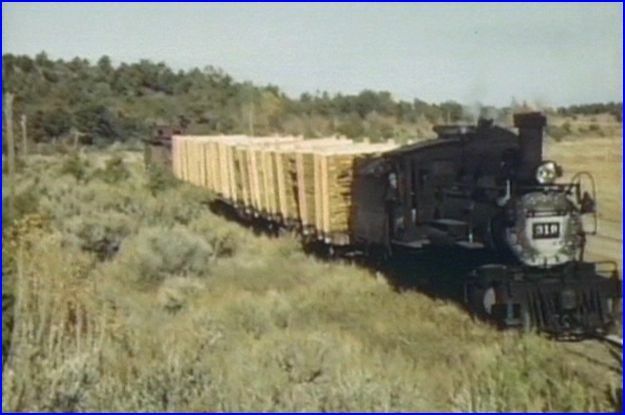 This predates BNSF by decades. A small world indeed! High quality imagery with the use of 16mm film. 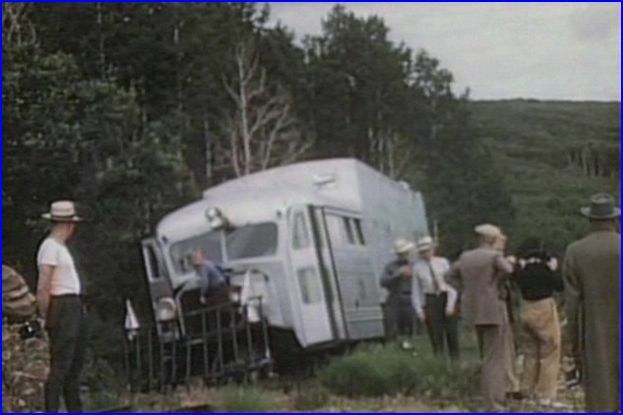 This footage was edited, from many locations and different years. As a film source now, the archived footage is consistently excellent. Steam and early diesels share the screen time. Big northern types, smaller Prairies, 2-10-2, smoke it up. 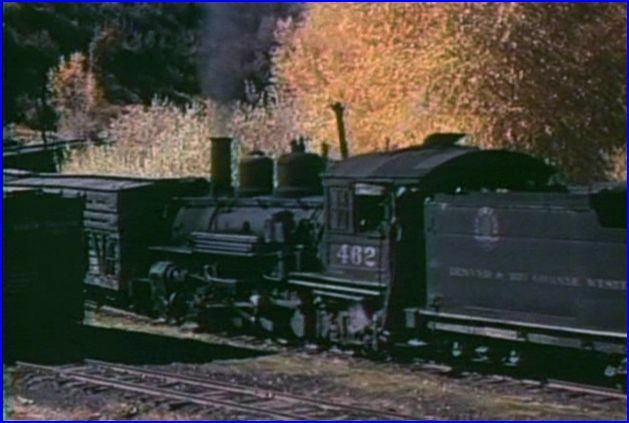 Diesels seen: EMD FT, F3’s along with Alco PA units. 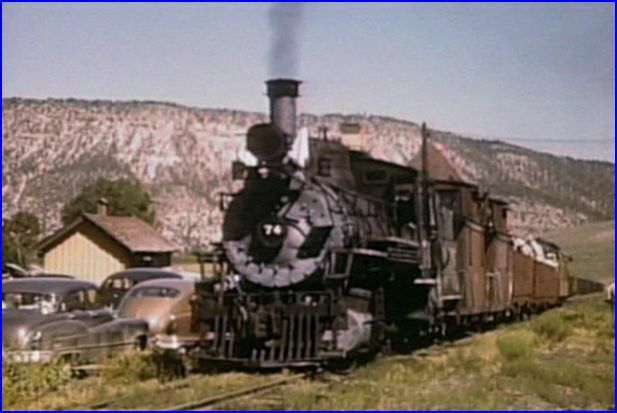 Classic Santa Fe warbonnets pull the passenger trains. Freight schemed Blue and Yellow F’s are on point of freight action. The Las Vegas subdivision is another area that is visited. 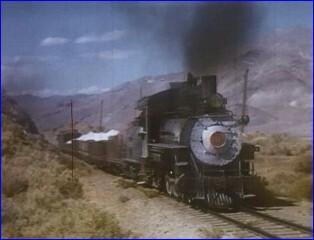 Black and white film for these 1942 scenes that show an E6 on the El Captain and steam. Color film now with an Alco PA. The Chief and Super Chief pass by, in black and white. 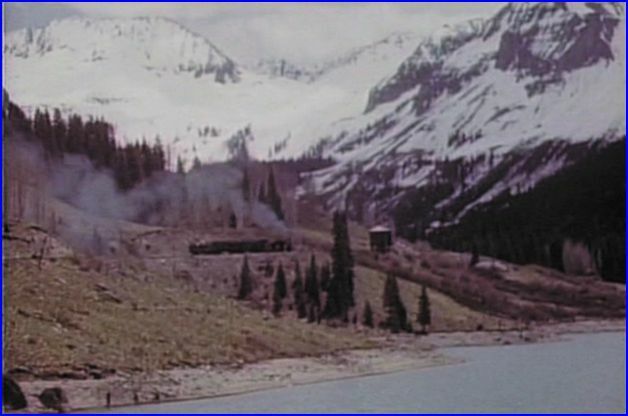 1947 color shot of California Limited with diesels. 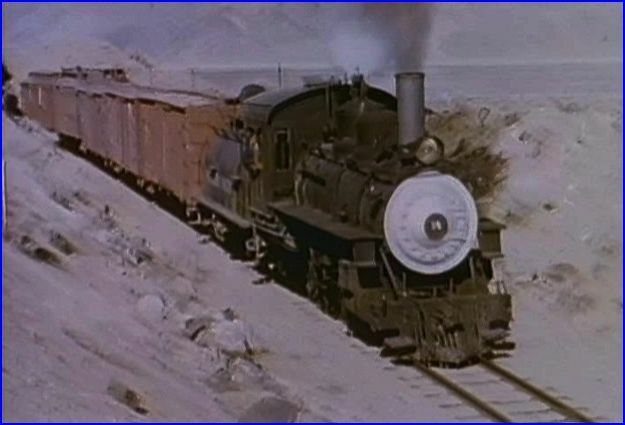 A 4-8-4 follows with a 2nd section of train number 3 and heavyweight cars. 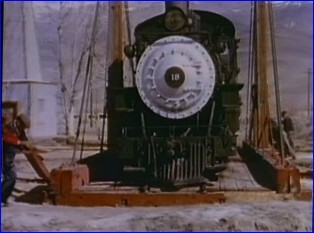 In 1946, Otto has journeyed to Fort Madison, Iowa. 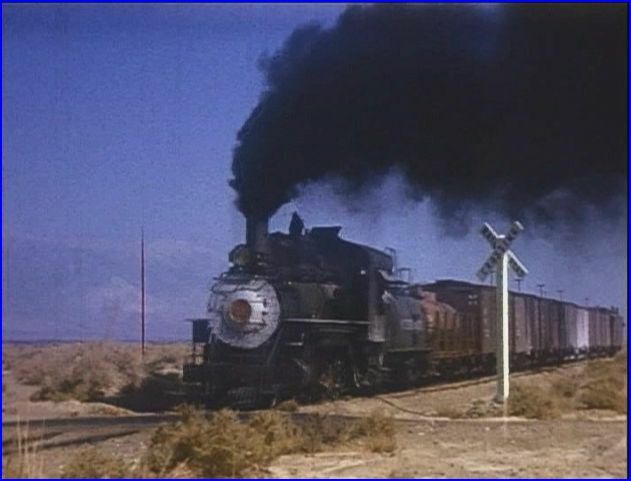 Steam has had it’s sunset on ATSF in 1958. We are in Kansas, as Otto continues to film trains. Warbonnet F7 sets lead lengthy US Mail trains across the plains. Show closes with a smattering of Santa Fe diesel trains. Machines of Iron has given the viewers a great showcase of Otto Perry. 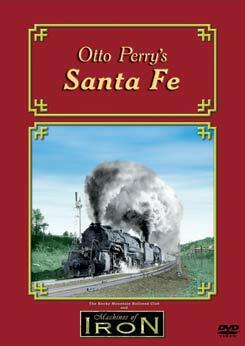 Fans of Santa Fe, steam to diesel era railfans and general train enthusiasts, all will find a plentiful array of vintage scenes. As was true for the era, you never know what is coming next on this show.